The big winner of Carnival 2017 is ready to shine at the Sambódromo, bringing an unusual samba enredo on the Jewish immigration to New York City. RIO DE JANEIRO, BRAZIL – On Monday, February 12th, Portela samba school will be the second to enter the Sapucaí, at 10:20 PM. This year, the Oswaldo Cruz-born school promises to thrill the spectators once again with a samba enredo dedicated to the Jewish immigrants who founded New York City. Last year, Portela’s samba enredo on Brazil’s rivers was the favorite at Grupo Especial’s championship, fascinating the judges and the spectators, photo by Fernando Grilli/ Riotur. In Carnival 2017, Portela won the Grupo Especial championship after 33 years away from the podium. Presenting a beautiful samba enredo on the popular folklore behind Brazil’s rivers, which was led by renowned carnavalesco Paulo Barros, the school absolutely enchanted the audience and the judges. Founded in 1923, Portela is among the most traditional Carioca samba schools, considered the crib for the greatest “bambas” (iconic samba composers), like Paulinho da Viola, Candeia, Zé Keti, Noca da Portela, Tia Surica and Monarco. Born in Oswaldo Cruz (next to the neighborhood of Madureira, in Zona Norte, where its headquarters are currently situated), Portela is the only school to have participated in all the Carnival parades since Sambódromo’s opening. Affectionately called “Majestade do Samba” (The Majesty of Samba), Portela is highly respected in the Carnival universe, especially for being the school owning the highest number of titles (22 in total). Along with Mangueira and Deixa Falar (a former samba school that originated Estácio de Sá), Portela is the founder of the samba schools’ culture in Rio de Janeiro. Marking Portela’s tradition, Brazil’s Ministry of Culture awarded the school with a Cultural Merit Prize in 2001. 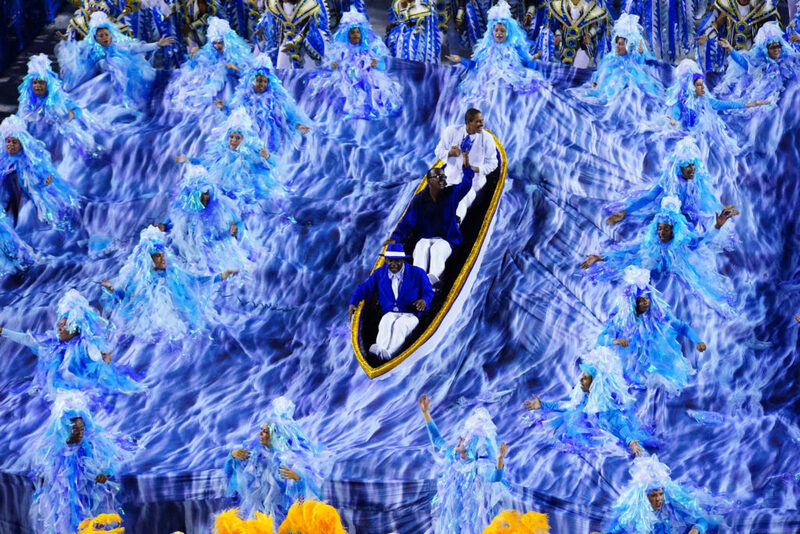 Having already payed tribute to Rio de Janeiro, to the Olympic games and even to German painter Johann Moritz Rugendas, the 95 year-old school has always been a favorite among Carnival lovers. Some of Portela’s most memorable samba enredos are still played in “rodas de samba” today, like “Das maravilhas do mar, fez-se o esplendor de uma noite” (1981). One of the most respected samba schools in Rio, Portela is the crib of samba greats like Paulinho da Viola, Noca da Portela, Zé Keti, Monarco, among others, photo by Raphael David/ Riotur. This year, Portela will be starring at the Sambódromo with “De repente de lá pra cá e Dirrepente de cá pra lá”, samba enredo portraying the Jewish migration. Composed by Samir Trindade, Elson Ramires, Neyzinho do Cavaco, Paulo Lopita 77, Beto Rocha, J. Salles and Girão, the lyrics present the role of the Jewish in the foundation of New York City. Portela’s theme was inspired by the book “Caminhos cruzados: A vitoriosa saga dos judeus do Recife – da Espanha à fundação de Nova York” (Crossroads: The victorious saga of Recife’s Jewish immigrants – from Spain to the foundation of New York). Written by Paulo Carneiro, author from Pernambuco (Northeastern Brazil), the work describes the trajectory of the Jewish migrants who, in the seventeenth century, travelled from Spain’s religious persecution to Recife, in Pernambuco, and ended up going to the States – after the Dutch invasion in Recife. The way the Jewish migrants made it from Spain to New York caught the attention of Rosa Magalhães, Portela’s carnavalesca in 2018. After reading Carneiro’s book, she found this could be the perfect theme for a samba enredo. “It is a little known historical fact, but extremely interesting. It is a good story with beginning, middle and end, which enables plenty of creativity for the parade,” says Fábio Pavão, Portela’s representative, to media outlet “Folha PE”. According to Folha PE, Portela also intends to link the samba enredo’s theme with contemporary debates, approaching the immigration crisis in Europe and other parts of the world, for example. 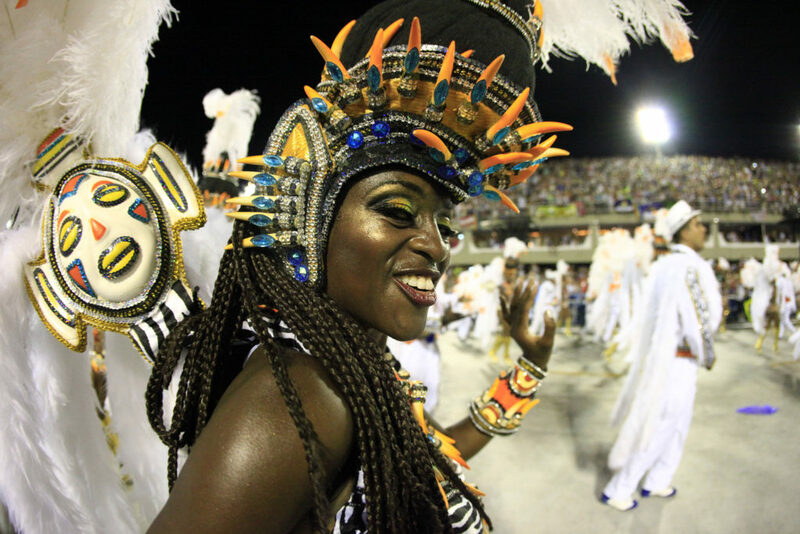 Those interested in participating in Carnival 2018 still have the opportunity to walk on the Sambódromo with Portela samba school. In order to purchase a costume, click here to access Portela’s official website.